WASHINGTON, D.C. – With the Environmental Protection Agency (EPA) set to announce new air quality standards for coal and natural gas-fired power plants on Monday, June 2, the Solar Energy Industries Association (SEIA) today released a comprehensive report, “Cutting Carbon Emissions Under §111(d): The case for expanding solar energy in America.” The report offers a detailed, point-by- point case as to why states should take advantage of clean solar energy as part of their efforts to comply with §111(d) of the Clean Air Act. This year alone, solar is expected to generate enough electricity to effectively offset 13.8 metric tons of CO2 emissions. This month’s release of the National Climate Assessment report clearly spells out the growing dangers of climate change to the U.S. economy and the environment. According to study after study, reducing greenhouse gas (GHG) emissions – especially from existing power plants – is a critically important step in combating pollution. Once the new EPA emission standards are in place, each state will be required to create a compliance plan, which must be approved by federal regulators. Failure to do so could result in a more restrictive EPA-mandated plan. 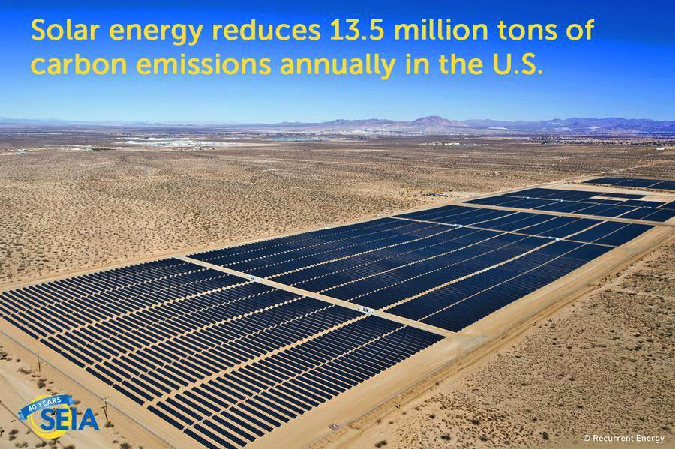 “For many states struggling to reduce their carbon emissions, solar can be a real game changer,” said SEIA President and CEO Rhone Resch. “We have a very simple message to state regulators: Do the math. When it comes to greenhouse gas emissions, the 13 GW of solar currently installed in the United States generates enough pollution-free electricity to displace 14.2 billion pounds of coal or 1.5 billion gallons of gasoline. Put another way, it’s the equivalent of taking 2.7 million passenger cars off U.S. highways each year. According to the report, which was prepared by SEIA staff in consultation with member companies, solar has already proven to be a key part of many states’ energy mix – as demonstrated on March 8 when solar provided a record 18 percent of California’s 22,700 megawatt (MW) demand. The report goes on to note, “Historically, air pollution emission reduction from the electric sector has been achieved primarily through pollution control equipment at power plants. Today, the EPA and states recognize that the reduction of carbon emissions from the electric sector requires a new approach that treats the production and delivery of electric power as a broad system, in which power plant modifications, demand side reductions and renewable energy all contribute to emission reductions. Remember my frequent comment about much of our earth’s surface area have not been fully utilized to generate solar power? Have you ever wondered if our roads, highway, playground, and parking lots were solar, fueling enough energy from the sun to power nearby communities as well as electrical vehicles? Well, Scott and Julie Brusaw of Idaho have and they actually put in the time and sweat to come up with the prototype that entails smart, microprocessing, interlocking hexagonal solar panel units covered with new temperate glass material to meet all load, impact, and traction requirements. These solar panels will generate clean solar energy that will enable the road to pay for itself in time. Every panel has series of LED lights on its circuit board programmed for its specific purpose and design. Furthermore, roadways composed of such solar panels will be able to maintain few degrees above freezing, preventing problems (such as:poor driving conditions, snow pileups, traffic delays) generally associated with winter driving in Northern states. This is going to completely revolutionize our roadway system! For The Better! Of course, it will translate into so many jobs!!! Let’s take a look what the prototype looks like and what the future has in store for us….a future resembling some of our current video games such as Tron! I am so excited that I can’t wait to see our future roadway system! I hope you are just as excited about our future solar roadway system as I am. RE-volv has a chance to win $50,000. The good news is, it’s decided by votes. If we all take a moment to vote right now, we can do it! If we win we’ll be given $50,000 worth of web development work from a premier web developer, Cosh X Labs. This will allow us to build a killer new solar crowdfunding platform that gives people a visual display of how their donation is continually reinvested into more solar projects! Please help us spread the word about this contest. Share it with your family, friends, and coworkers! Public voting will close on Friday, May 30th. To vote, click here and sign in using your Facebook account. Toby D. Couture now works at E3Analytics to help both private and public sector clients to navigate challenges in transitioning into an abundant, dispersed, and renewable energy resources. 6.China Installed The Most Solar in 2013! China May Possibly Become The Cleanest Country On Planet Earth! 7.Why Should Utility Companies Consider Working With FIT (Feed-In-Tariff)? Sharing the 148-page National Climate Assessment (NCA) report that was released by a non-partisan committee of experts yesterday (May 7, 2014), warning us about the danger of climate change. The report concluded, “Although some additional climate change and related impacts are now unavoidable, the amount of future climate change and its consequences will still largely be determined by our choices, now and in the near future.” Seriously, we’ve all got to combine our efforts in combating pollution. 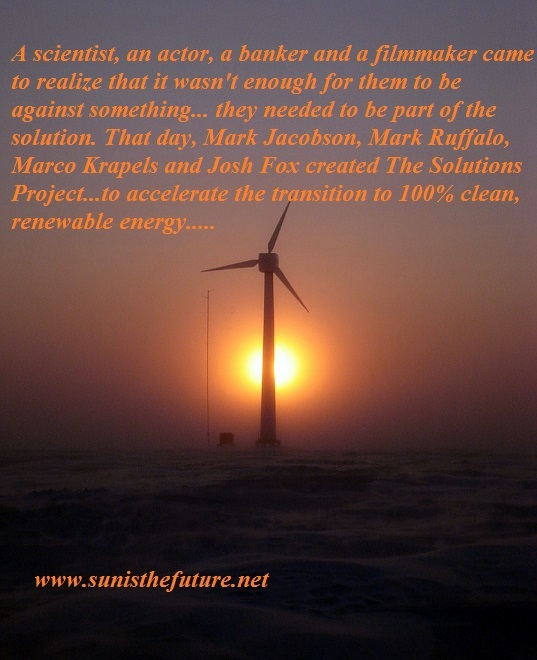 This realization led me to begin Sun Is The Future in 2011, contributing my part to the picture of Solutions. I simply cannot think of any better form of energy than Solar Energy to resolve our earthly challenge of Pollution-Energy-National Security. 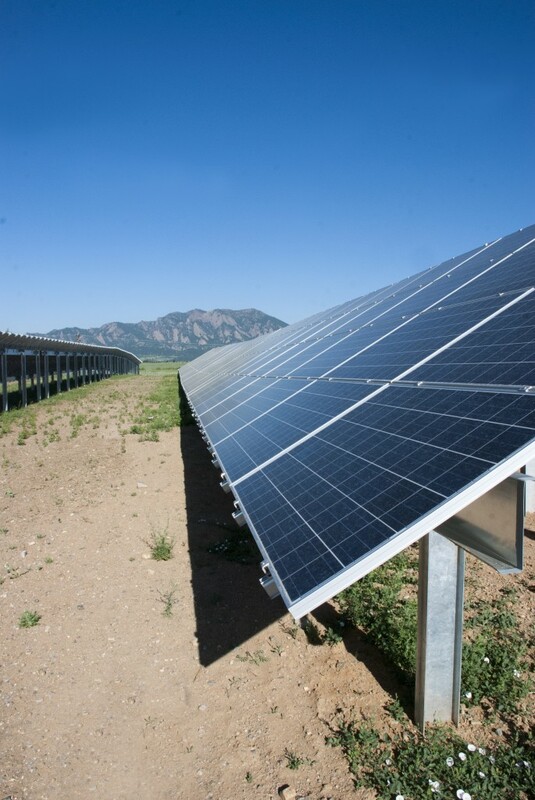 U.S. solar industry has done its share in combating climate change and will continue to do so in the future. Today, we’re generating enough clean, reliable electricity to power nearly 2.5 million homes. When it comes to greenhouse gas emissions, the 13 GW of solar currently installed in the United States generates enough pollution-free electricity to displace 14.2 billion pounds of coal or 1.5 billion gallons of gasoline. Put another way, it’s the equivalent of taking 2.7 million passenger cars off U.S. highways. That’s a huge plus for our increasingly-fragile environment. Yes, Sun/Solar Is The Future and the sooner there are more of us coming to this realization the better chance we all have in combating our energy and pollution problem throughout our planet earth. 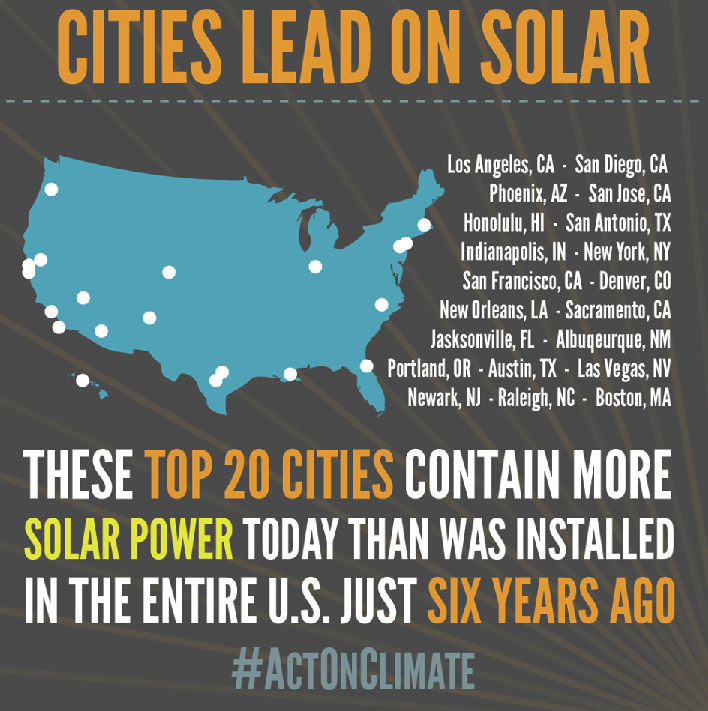 Bravo For These Leading Solar Cities!!! HURRAY for ALL of them in helping to push Solar into the mainstream energy sector!!! I hope many of you out there will be interested in taking the initiative to embark on the journey of establishing Community Solar Gardens/Farms (including/utilizing surface area of landfills) to reduce the cost of your future power bills. Potentially, millions and millions of dollars may be saved. If you need better understanding of what and how Community Solar Garden/Farm works, please feel free to visit various links at A. Start A Community Solar Garden/Farm available at Sun Is The Future. 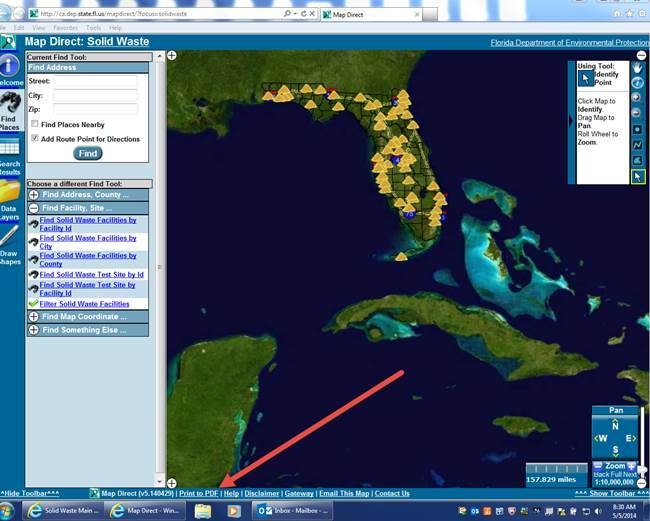 Recall our yesterday’s post on “Hurray For Solar Landfills“. It led me to discover an even more exciting video that I’d like to share with you, below. In the video above you’re seeing a Conley(near Atlanta), Georgia (of USA) based landfill site being transformed from an operating landfill that has reached capacity into a commercial scale, solar energy generating facility. The amazing part is the technology of EGSC (Exposed Geomembrane Solar Cover) system that combines an enhanced final cover anchoring system and thin film photovoltaic solar panel attached to a geomembrane, resulting in an integrated final landfill cover system that allows a landfill owner to close a landfill while generating renewable electrical power. The lack of topsoil or vegetative support above the geomembrane of a solar energy cover is actually a design strength over the traditional closure. The exposed geomembrane anchors directly into the landfill whereas a traditional Subtitle D closure drapes the geomembrane atop the landfill, holding it in place with soil layers that shift and erode over time. This fantastically flexible technology serves dual purpose of protecting the environment while generating solar power. Apparently, the first design and installation of a solar landfill capping system (integrating an exposed geomembrane cap design and modern photovoltaic technology with a landfill closure) was first realized by HDR Engineering Inc.’s (HDR) in 2009, design of Republic Services at Tessman Road Landfill Solar Energy Cover in San Antonio, TX. There’s much work waiting to be done. We have more than the surface area of all the rooftops, we also have all the closed/sealed landfills that may be used to generate solar energy/power. Combining our posts at April 30, 2014 and May 1, 2014, much work, opportunities, and rewards are awaiting for those who would take the initiative!